Unless you regularly trawl the Chelsea galleries, hang out at the Tate Modern, peruse the Pompidou, attend every Biennale, and religiously read Artforum, you could likely use a primer on the art scene in the world today. 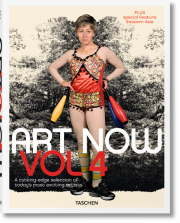 Fortunately we’ve created our second Art Now volume to keep art fans abreast of the latest trends and hottest names. Not only will you discover the most important artists in the international art market, you’ll also learn how the art scene has changed dramatically in recent years - notably with a return to figurative painting and an increase in political topics. Featuring over 135 artists in A-Z entries, plus a special section about gallery representation and current market prices, Art Now Vol. 2 is the guide to what’s happening and who’s who in contemporary art. Uta Grosenick lives and works as a freelance author and editor in Cologne. For TASCHEN she has edited, among other books, the following publications: Women Artists, 2001; ART NOW, 2002 (together with Burkhard Riemschneider); Büttner, 2003; ART NOW II, 2005, and numerous books from the Basic Genre Series. 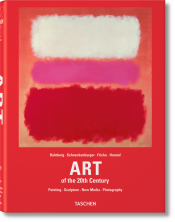 "This is an indispensable vademecum for those interested in contemporary art and the shape of things to come."